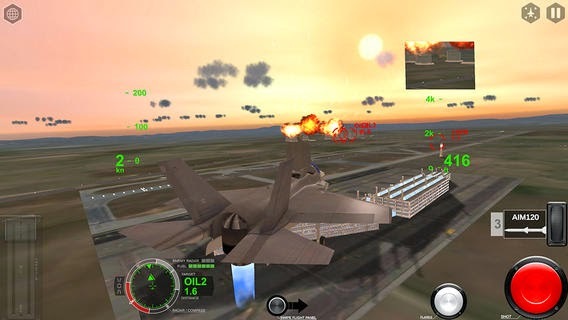 THE MOST ADVANCED FIGHTER PLANE COMBAT AND FLIGHT SIMULATOR Realistic world maps and navigation, over 500 actual airports, 1,107 runways, aircraft carriers and real time weather conditions. 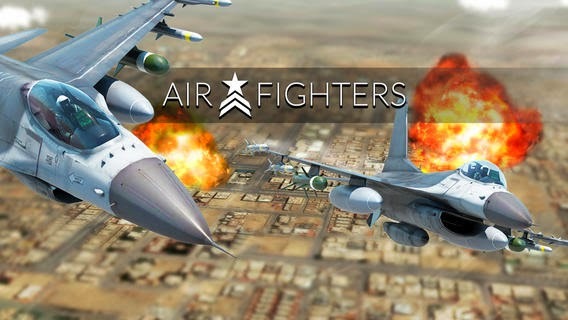 Plan and share your tactical scenarios, test yourself in the world campaign, fight against other planes in the dog-fight. An adventure without limits. UNPRECEDENTED REALISM 569 of the world's major airports are available with locations and runway lengths accurately reproduced. 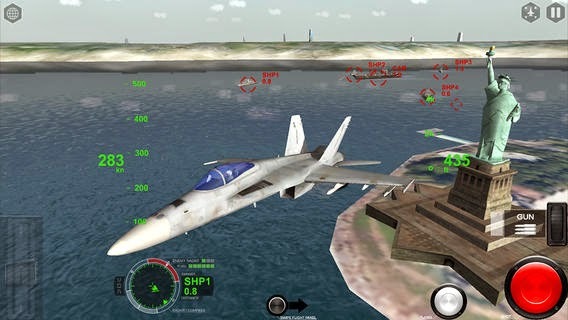 The planes you can use are true to life in performance, characteristics and fuel capacity: you can test yourself in vertical takeoff, take advantage of the variable-geometry wings and fly in the cockpit of the best fighter jets on the planet. The flight engine allows you to navigate the entire face of the earth, but pay attention to fuel capacity and make sure to ask for in-flight refueling in time. IMMERSIVE GAMEPLAY Train with the carefully selected missions available and then test yourself in the "world campaign", where you will be part of the best published scenarios. 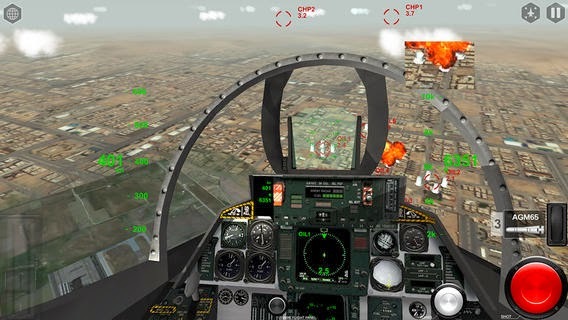 Become a flying ace in the dog-fight where you will face ever fiercer enemy jets. Unlock trophies to get even better scores. 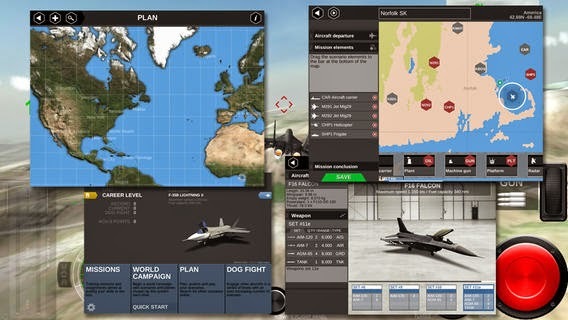 PLAN YOUR SCENARIOS Choose an area of the world and create your tactical scenario, setting all the available elements in the simulator. Publish your best scenarios and share them with other pilots. 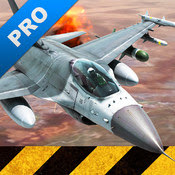 AIRCRAFT CARRIERS - NAVAL OPERATIONS Using aircraft carriers as a base for your missions, you can expand your range of action.